We are piling contractors, this is our area of expertise. 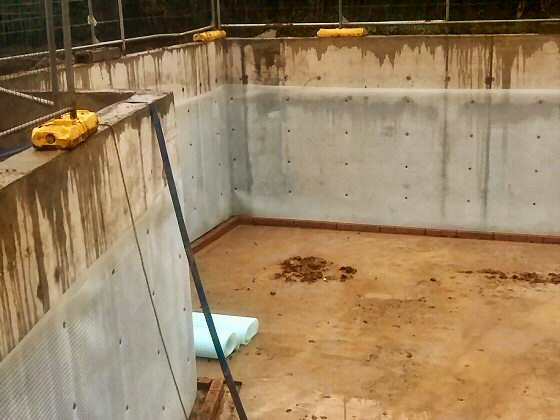 We can provide any foundation system you need for your property with our wide range of piling services across Sussex, Surrey, Hampshire, Kent, London and Southern England. We regularly service commercial projects, such as, providing the foundations for warehousing, offices, hotels, as well as domestic projects, including foundations for houses, small extensions, conservatories, garden offices. As piling and foundation contractors, we enjoy an excellent reputation for providing piling solutions under difficult operational conditions and we utilise a range of specialist technical tools and equipment, including our mini piling rig which has its own separate power pack which enables us to work in restricted areas (see auger bored mini piling below). We use driven tubular steel piles, augered piles, CFA (continuous flight auger) piles or hollow stem piles and we can deliver the most cost-effective solution to meet your budget and construction needs. As a specialist piling contractor, when there is restricted access to a site or limited space, we can provide you with auger bored mini piling which helps us to undertake foundation work, drilling, grouting and ground anchor contracts using compact piling equipment and drilling systems that have been specifically developed for this purpose. 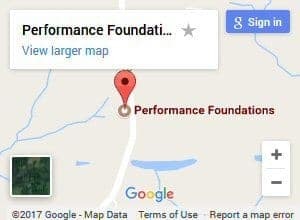 At Performance Foundations we recommend Bottom Driven Piling when there is, poor ground conditions, the piles need to carry high loads and deep foundations are not possible. Bottom driven piling is where close ended thin walled steel lining tubes are pile driven in lengths using a cylindrical drop hammer operating within a casing striking a dry mix concrete plug. The steel tubes are typically 2 to 3 meters in length and are joined by full fillet welding as installation proceeds. The bottom driven piles are installed to a predetermined set or depth depending on design criteria and single bar or cage reinforcement are introduced and the bottom drilling pile casings are in-filled using workable high strength concrete or grout. This is due to the fact that the main advantage of this system is that it does not cause vibration which can destabilise existing structures. We use two methods of bored piling techniques for contiguous piled walls, CFA and rotary. Where the available working area dictates that basement excavation faces must be vertical, these two techniques provide special advantages. Both methods are technically effective and are a cost effective method of providing temporary or permanent means of retaining the sides of bulk excavations, even in water bearing strata. Contiguous piled walls can be designed to accommodate vertical loads in addition to horizontal forces when they are used in permanent works and the construction techniques for both methods are the same as for foundation bearing piles. Retaining walls are built in order to hold back ground and stabilise slopes so as to provide useful areas at different levels of elevation, such as, a terrace or building. 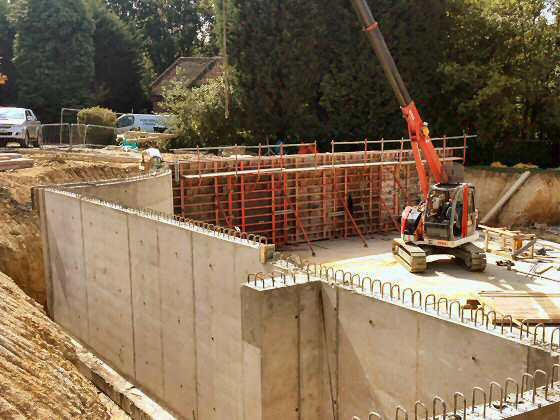 As piling and groundwork experts we will install a reinforced concrete wall when there is no access restriction to the site and an area can be safely excavated, otherwise we would install a contiguous piled wall. We can provide you with traditional or piled ground beams for any building project you may have, such as, an extension, single plot or multiple plots. By having ground beams installed you can improve construction programmes by reducing poor ground conditions. Ground Beams are designed to support brick/blockwork or to form a permanent shutter to the edge of insitu concrete floor slab. The amount of reinforcement introduced into the design will be used to suit specific loading requirements and the beams can be designed to withstand any heave forces with the use of void forming or compressible materials. Installation may require piling, then once that is complete we excavate the ground to a width and depth required by your design or shuttered above ground. Reinforcement is then placed and the pile reinforcement tied into the ground beam. After inspection by the relevant authorities the beam will be concreted. In situations where industrial floors and yards are subject to excessive loading, we can improve the loadbearing properties of the surface by pile insertion. This is a quick and clean process and causes minimal disruption to your business. 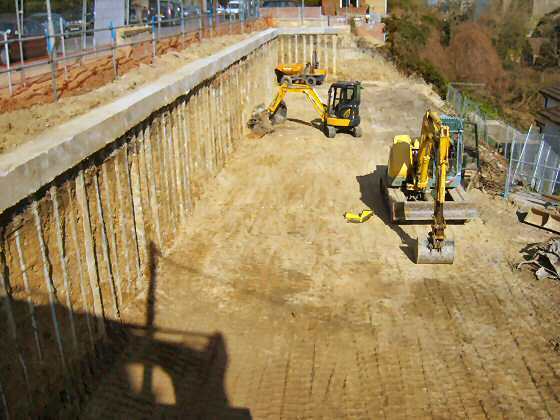 As piling and groundwork contractors, we are often required to provide underpinning. Underpinning is the process of strengthening and stabilising the foundation of a building or structure and our teams are well trained and widely experienced in this construction technique. The vast bulk of underpinning projects involve partial works only. Total underpinning may be performed when an entire building is found to be settling, perhaps on soft ground or made ground, or when an additional storey is to be added to a building. Traditional underpinning works have been carried out for many years by Performance Foundations and include pad and beam pin piling and grouting.